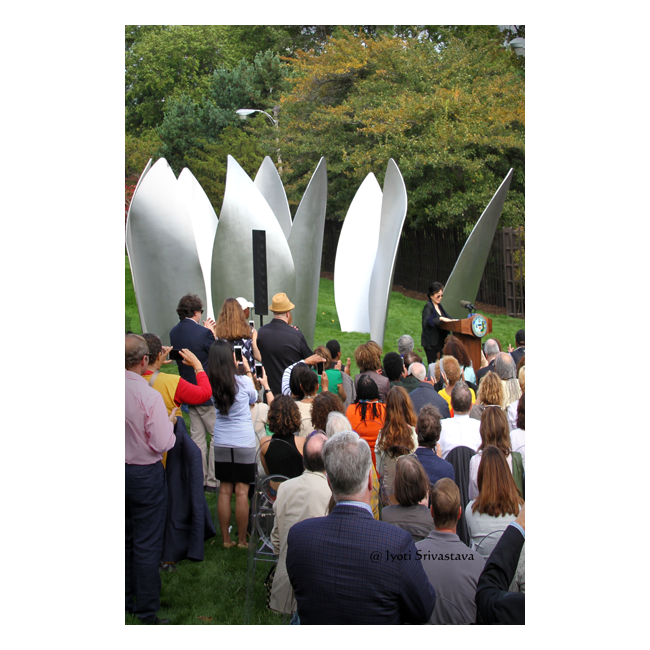 Unveiling and Dedication Ceremony: October 17, 2016. Location: Garden of the Phoenix in Jackson Park, East 60th Street on Wooded Island, between Lake Shore Drive and Cornell Drive. 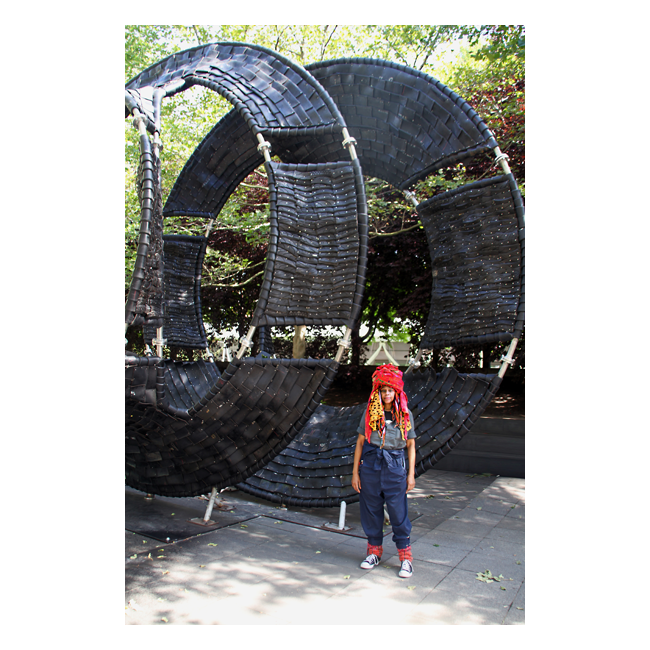 This is the sixth Rotating Large Scale Sculptural Exhibition at Boeing Gallery. 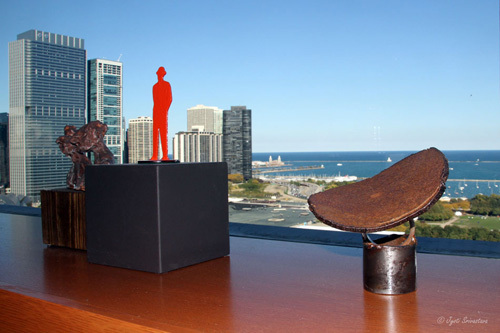 Chakaia Booker is the first African American artist to be showcased in the Boeing Galleries. 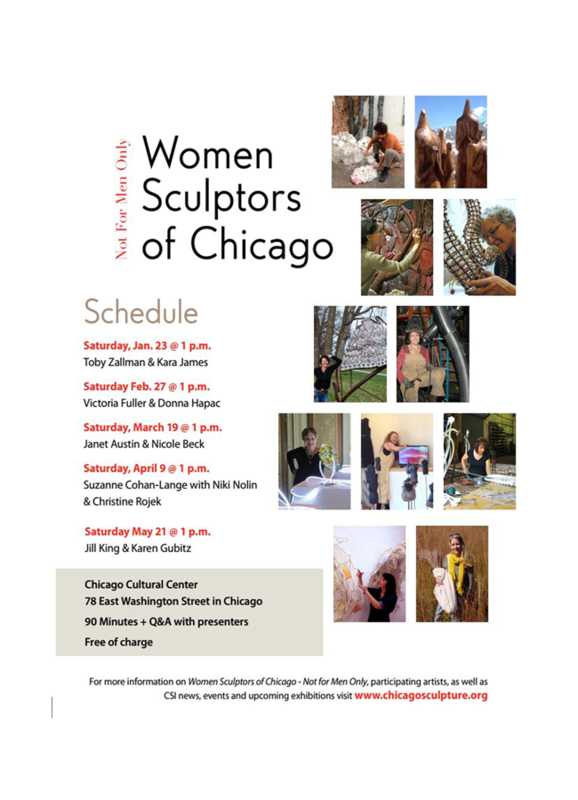 "Women Sculptors of Chicago - Not for Men Only"
A series of five lectures, one each month, from January through May, 2016. Location: Studio Theater at Chicago Cultural Center. 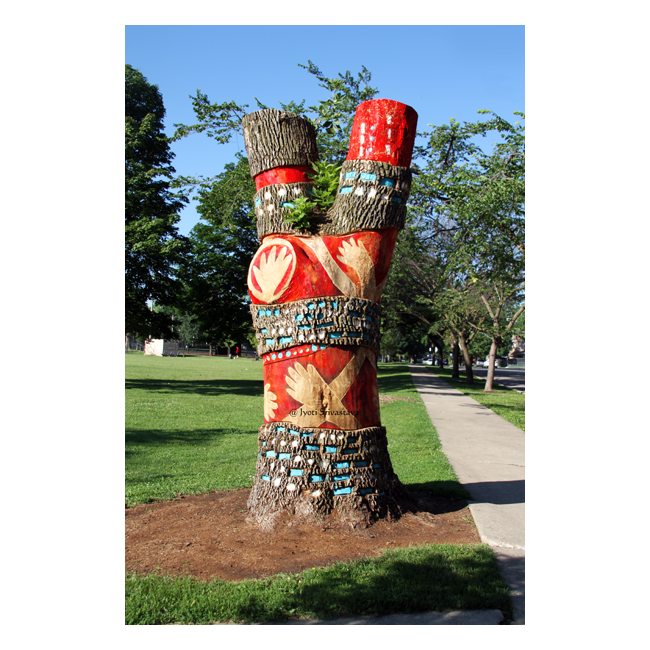 Chicago Tree Project: to turn Dead Trees into Public Art. 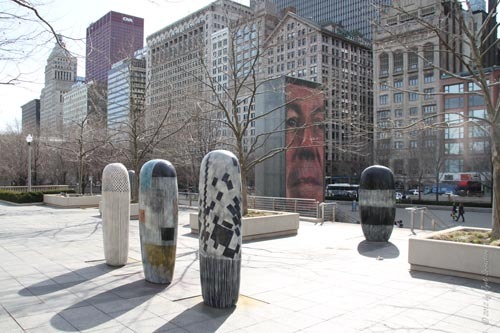 On May 16, 2014, Mayor Emanuel, Chicago Park District [CPD] and Chicago Sculpture International [CSI] announced the Chicago Tree Project, which will commission local artists to turn dead or dying trees that are infested with Emerald Ash Borer or other bugs and diseases into living public art. 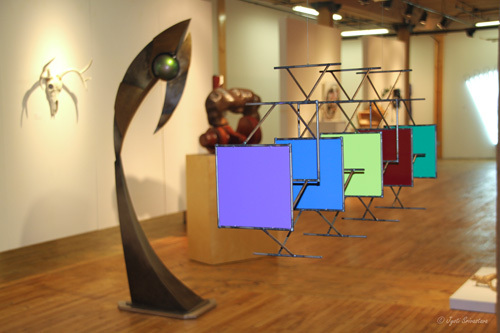 Temporary Exhibit: June 18 2014 through December 2015. 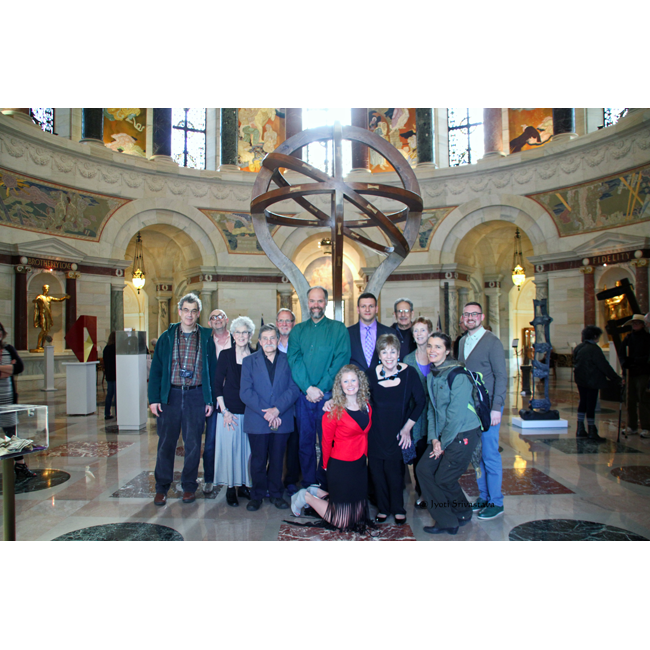 CSI Presents "Invoking the Absence"
Temporary Exhibition: April 12 - November 3, 2013. 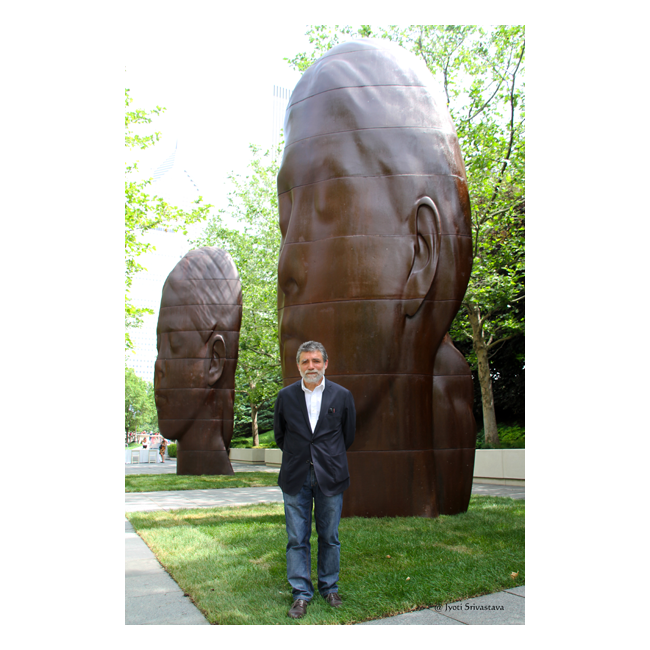 Location: North and South Boeing Galleries at Millennium Park, Chicago. Six storefront window installation at Pilsen along South Halsted between 18th and 19th Sts..